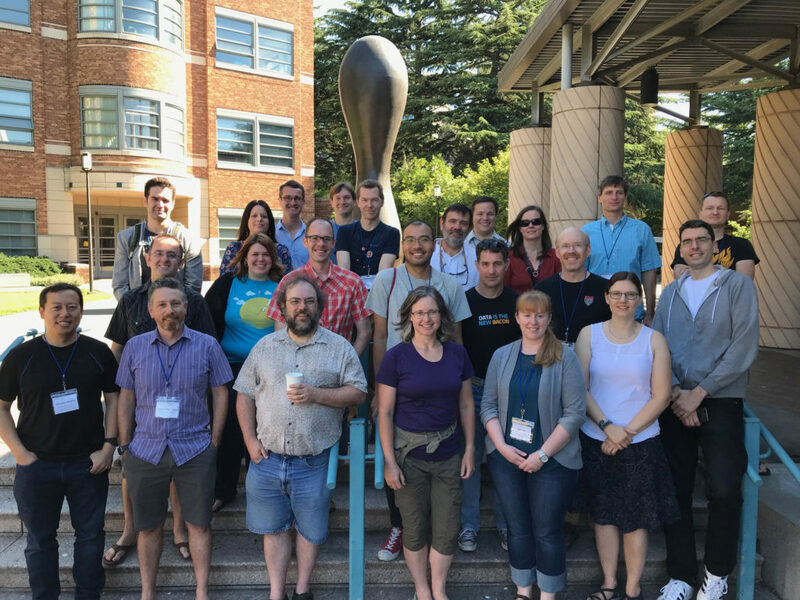 B612 Asteroid Institute attended the LSST’s Solar System Science Collaboration meeting on July 10-12, 2018 at the University of Washington in Seattle. The B612 Asteroid Institute’s development of the Asteroid Decision and Analysis Mapping (ADAM) platform is largely motivated by the upcoming Large Synoptic Survey Telescope (LSST)’s 10-year survey of the night sky, which is scheduled to begin in 2022. LSST is expected to discover roughly 20,000 near-Earth objects (NEOs) with diameters larger than 140 m (those recognized to post a significant threat to life on Earth should they impact) over its 10-year lifetime (Jones et al., 2018). This is roughly three times the number of NEOs currently known in that size range (Jones et al., 2018). In addition, LSST is expected to discover more than 100,000 NEOs with diameters larger than 30 m (those large enough to destroy a city upon impact). Some of these newly-discovered asteroids could be on potentially Earth-impacting trajectories. ADAM is allowing us to calculate the probability of impact and deflection requirements for a large set of theoretical Earth-impacting asteroids that represent those LSST is expected to find. This will help us to better understand the asteroid impact threat and prepare for the large amount of data LSST will produce. In order to share our work with ADAM with the scientific community and to continue to be part of the conversation regarding decisions about how LSST will search the night sky, scientists with the B612 Asteroid Institute attended the LSST’s Solar System Science Collaboration meeting on July 10-12, 2018 at the University of Washington in Seattle. The LSST’s Solar System Science Collaboration (SSSC) consists of members in the scientific community around the country. The SSSC is working to make sure the science goals for LSST established by the Solar System science community will be met with the telescope’s final survey strategy (i.e., where LSST will scan across the sky and how long it will spend at any given location on the sky), the details of which have not yet been finalized. One of the science goals laid down by the science community is to maximize the number of NEOs discovered by LSST, including those that may be on potential Earth-impacting orbits. In order to ensure these science goals will be met by LSST, the SSSC held its first LSST readiness sprint (a software term used to describe a set period of time in which specific work needs to be accomplished or made ready for review) on July 10-12, 2018 at the University of Washington in Seattle. Roughly 25 people from institutions around the country attended the readiness sprint, including three from B612’s Asteroid Institute: Bryce Bolin, Sarah Greenstreet, and Ed Lu. The group that met in Seattle decided two main goals should be accomplished during the three-day sprint: starting to write white papers and defining survey-evaluating metrics. The white papers (informational reports used for decision-making purposes) will answer the call by LSST for the scientific community to present requirements for the LSST survey strategy to accomplish their science goals. The other main goal of the sprint consisted of defining “metrics” to evaluate observations of simulated asteroids in simulated telescopic data sets. LSST created a specific software framework, the Metrics Analysis Framework (MAF), to enable the community to write metrics that LSST can then easily run to test a wide variety of simulated observing strategies; during the sprint, members of the SSSC worked to modify their metrics to the MAF code format. These metrics included questions such as how many images there are of a given asteroid either on a given night or over the course of the entire 10-year LSST survey and whether that is enough to determine its impact probability with the Earth. The metrics go hand-in-hand with the white papers by providing the tools to assess whether the science goals will be met by possible LSST survey strategies, which can be tested by running simulations of LSST’s future survey; the results of the simulations and metric tests will be outlined in the white papers. Each science collaboration (there are eight on topics ranging from galaxies to dark matter to the Solar System) has been asked to produce their own set of white papers that outline the observing strategies and requirements to accomplish their defined science goals with LSST, using metrics as the quantitative measure of success of the survey meeting those goals. These white papers will in turn be used by the LSST decision-makers to set the final survey cadence. In order to ensure the Solar System science goals, including finding as many NEOs as possible, particularly those on possible collision courses with Earth, are met with the final survey cadence, it is imperative the SSSC provide these white papers. The ongoing work of the SSSC, including the metrics and eventually final white papers produced by this readiness sprint, is crucial to ensuring the science goal of gaining timely advanced notice of close-approaching or potentially-impacting asteroids for characterization (learning physical properties, rotation periods, sizes, etc.) and impact probability and hazard mitigation efforts. LSST is expected to discover roughly 20,000 NEOs with diameters larger than 140 m (those for which the impact threat could be severe to life on Earth) over its 10-year lifetime, which is roughly three times the number of NEOs currently known in that size range, some of which could be on potentially impacting trajectories. Since time is of the essence in mitigating possible impact threats, ensuring that LSST surveys the sky in a way that discovers as many of these objects as possible with as much time before potential impact as possible is vital. As such, the B612 Asteroid Institute is making sure its member’s voices are heard in discussions of LSST survey strategies and in helping to write and develop the metrics and white papers that will ensure LSST meets these requirements. Jones, R. L., Slater, C. T., Moeyens, J., Allen, L., Axelrod, T., Cook, K., Ivezic, Z., Juric, M., Myers, J., Petry, C. E., 2018, The Large Synoptic Survey Telescope as a Near-Earth Object Discovery Machine, Icarus, 303, 181-202. Sarah is a B612 Asteroid Institute senior researcher. Her research interests revolve around orbital dynamics problems in the Solar System. This includes studying near-Earth object (NEO) orbital evolutions, main-belt asteroid resonances, resonant mechanisms that create asteroids on retrograde orbits, co-orbital Solar System objects, impact and crater formation rates,near-Earth object population modelling, and Earth impact probabilities and hazard mitigation. She has also used observations for NEO follow-up and characterization and confirming that predicted asteroids undergo the Yarkovsky effect. 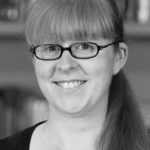 She received her PhD in 2015 from the University of British Columbia. Learn more about her work here www.sarahgreenstreet.com. The Asteroid Institute is a program of B612 Foundation and works in partnership with the DIRAC Institute and the Astronomy Department of the University of Washington.